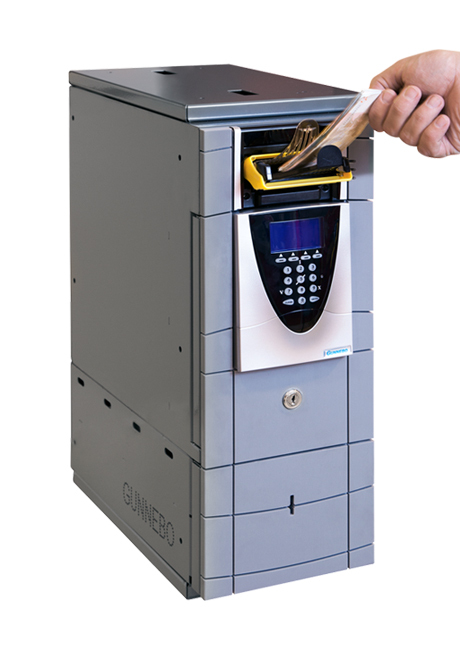 Reduce costs and improve the efficiency of your cash processes with Gunnebo's cash management solutions. 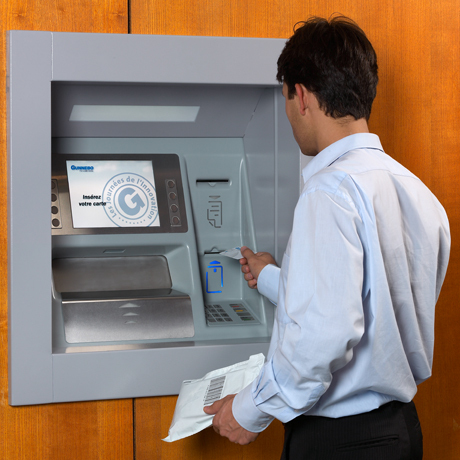 Cash is still the lifeblood of many businesses. 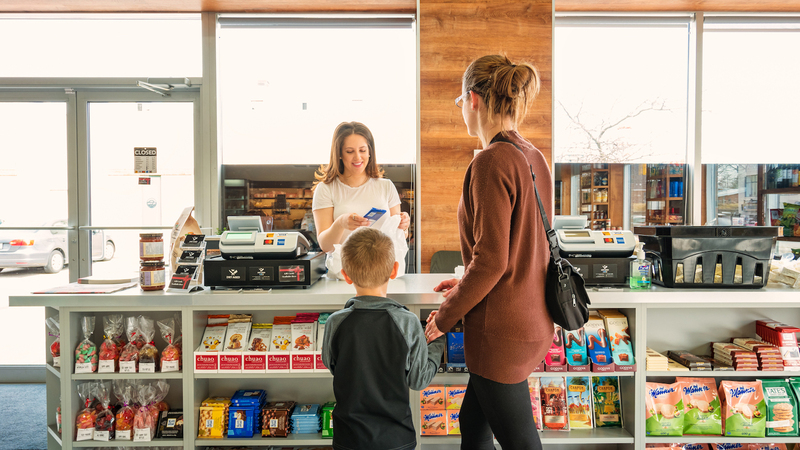 Over half of retail transactions use cash, and the matter of how best to manage it is one of the core concerns for an efficient business. 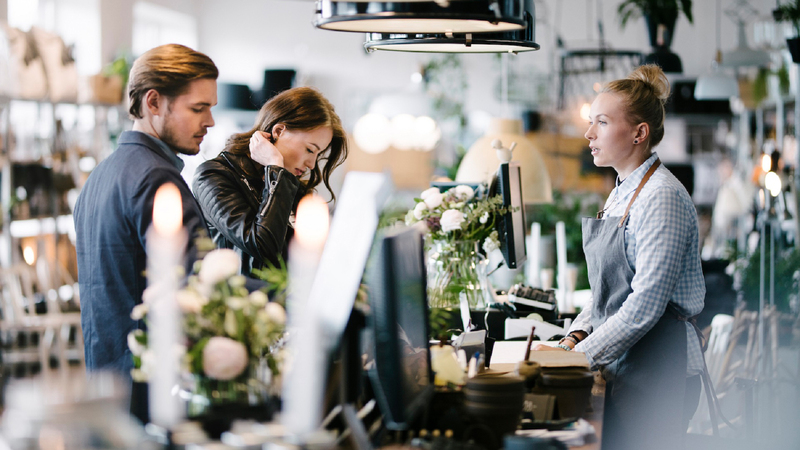 Small discrepancies closer to the customer end of a business's cashflow can compound into substantial confusion and headaches in accounting, introducing unnecessary noise to reports and metrics. 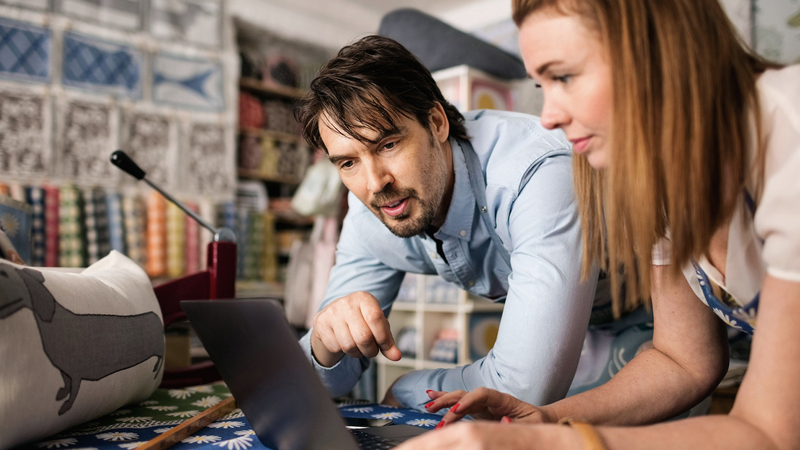 The bigger problem for most businesses is often the problem that persists even when no others arise: manual cash management strategies are incredibly inefficient. 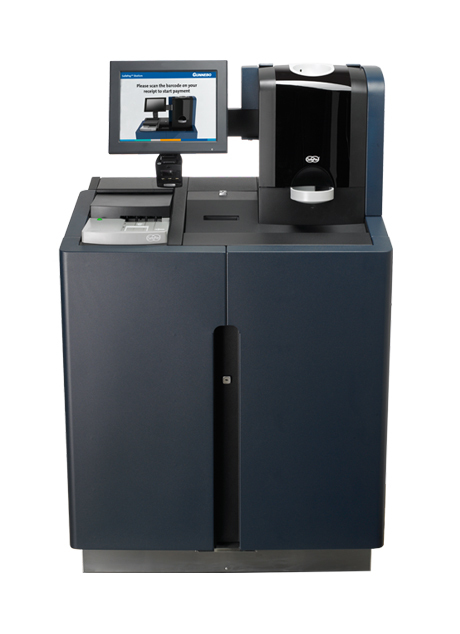 The extent of this inefficiency is highlighted by the fact that our International cash management solutions offer a reduction in cash handling costs of up to 60%. 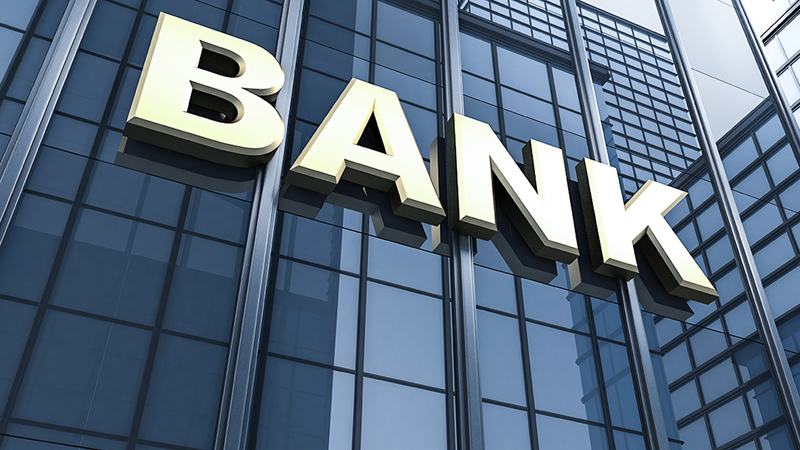 A substantial part of the cost of cash management takes the form of fees to cash collection services and banks, and while Gunnebo can help develop solutions to reduce these fees, we've identified that up to 80% of the cost of cash management arises from staff activity and resources. 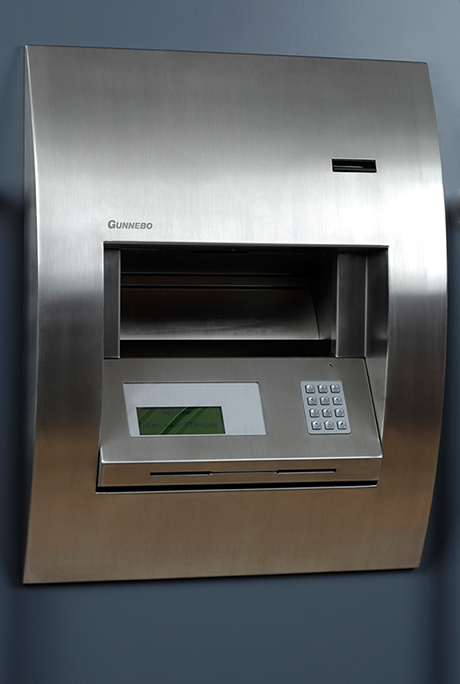 Using automated cash management services and devices can dramatically reduce overall spend while greatly enhancing cash management security. 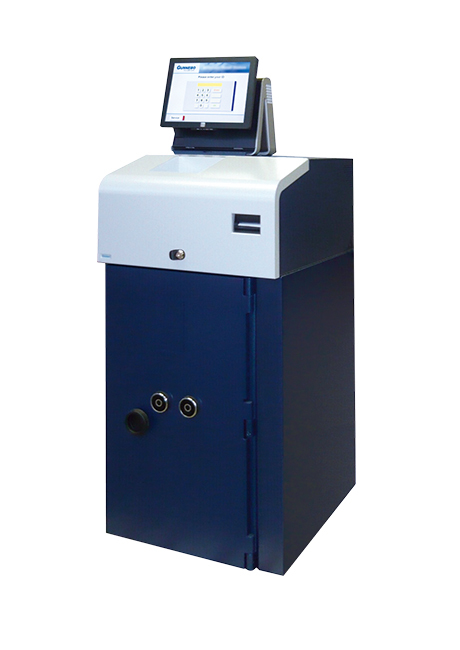 Our cash recyclers are an optimal way of handling large volumes of notes and coins for the purposes of till balancing; dispensing predetermined or freely selected volumes and denominations, and automatically sorting, authenticating and stacking deposited notes in recycling cassettes within a certified safe. 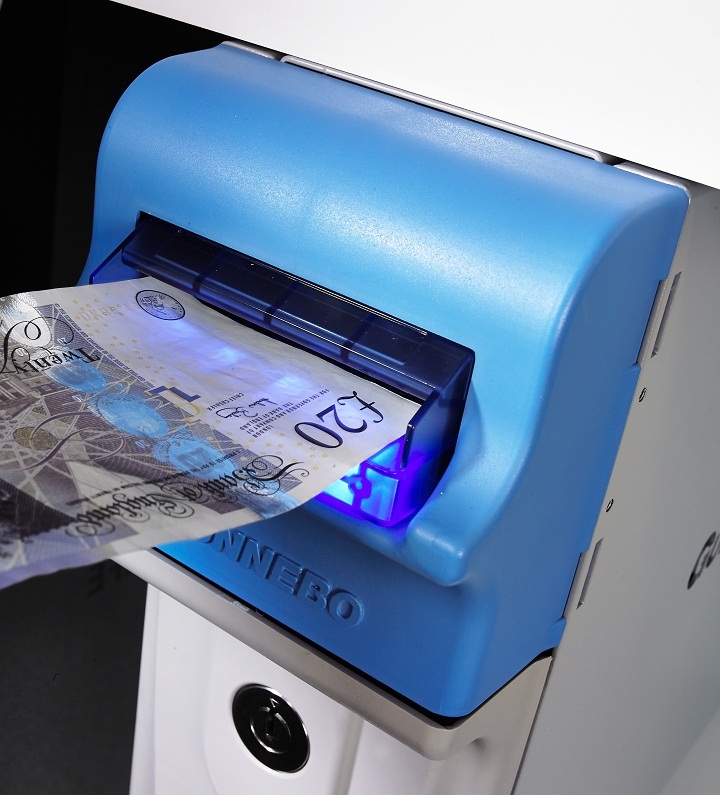 Our cash management software allows you to monitor and control your cash handling process remotely, letting you track levels of cash by denominations in real time for each and every machine across an entire estate. 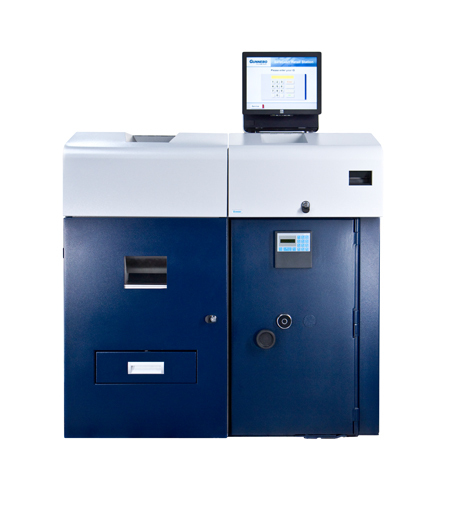 Centrally stored cash management data not only provides invaluable information but allows you to share that data in real time with external partners such as Cash-in-Transit (CIT), service technicians and banking services. 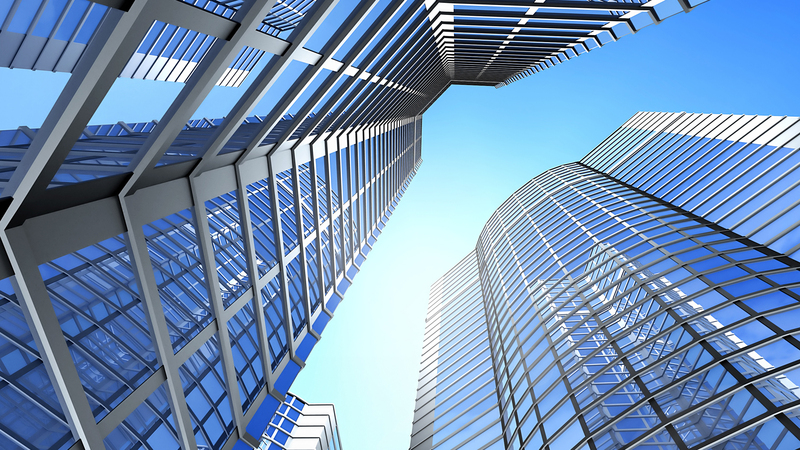 System monitoring services also ensure that every device is operating properly and any problems are immediately resolved for minimum impact on your business. 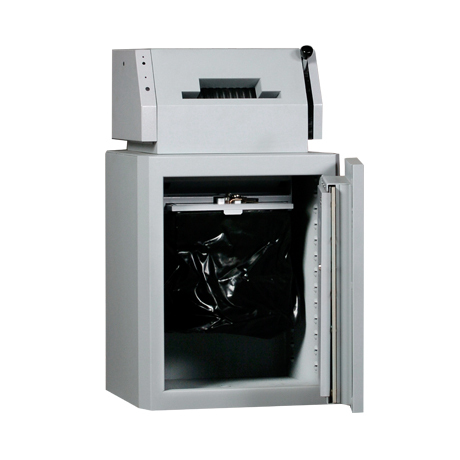 At the heart of our cash solutions is our range of versatile Intelligent Safes. 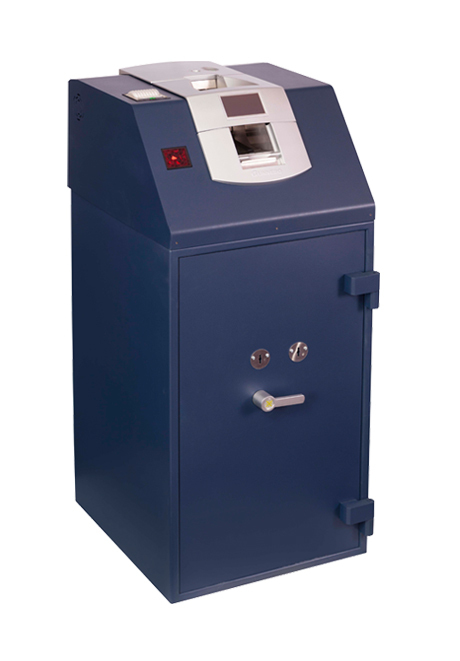 All of these safes meet industry standards, with many of them able to fulfil most of the time-consuming tasks related to cash management; counting and checking coins and notes, automatically dispensing floats and fully reconciling the day's takings. 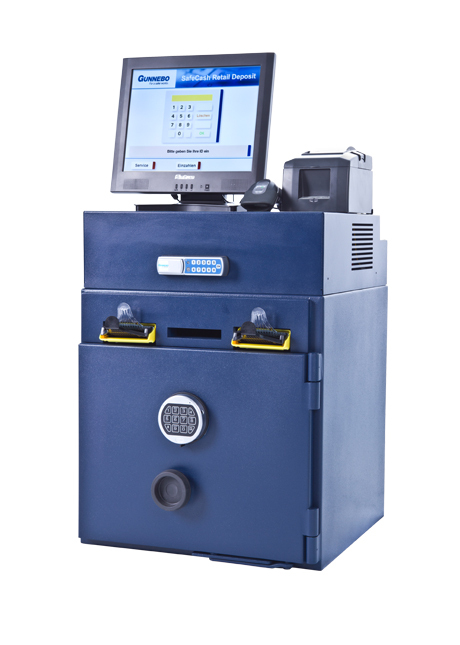 These Intelligent Safes can provide real-time information on their contents and transactions, ensuring absolutely up-to-date, perfectly accurate reporting and therefore maximum clarity and transparency at all times. 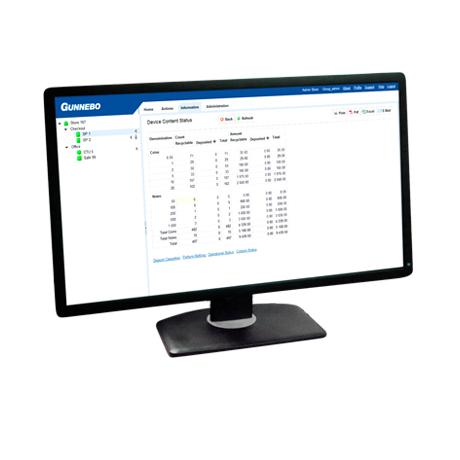 To find out more about the improvements and savings your business could make with Gunnebo's certified, intelligent solutions, please call us today on 0370 224 0294 or contact us via email. 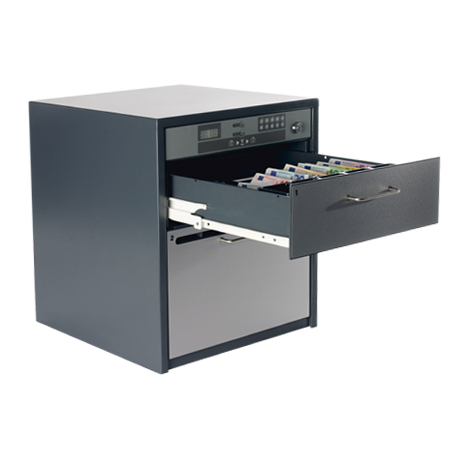 Gunnebo offers front and back office cash deposit solutions, for the more efficient handling of cash. 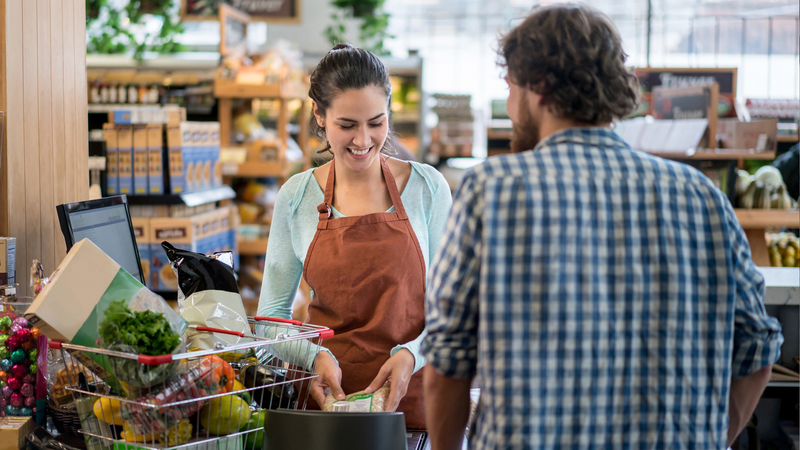 Gunnebo's cash management software allows retailers to effectively control and monitor cash online. 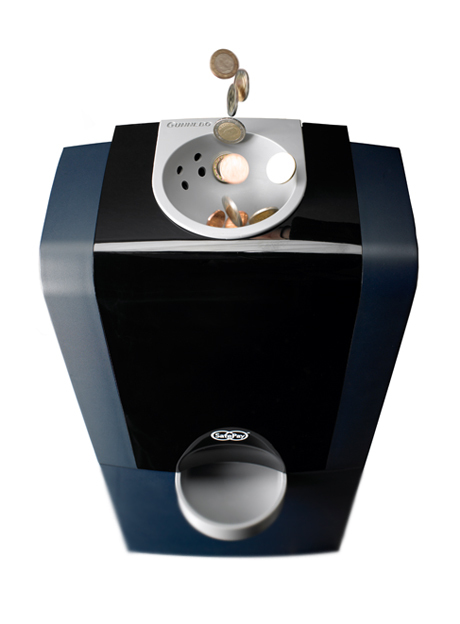 Gunnebo's cash recycling solutions for retailers are complete self-service terminals for handling large volumes of notes and coins, helping to improve cash management within retail. 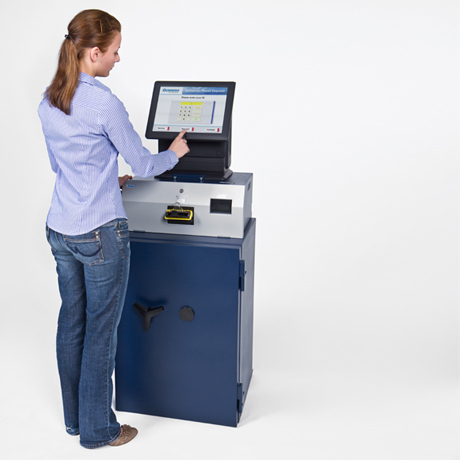 Closed cash handling improves shop security and safety, for both customers and staff. 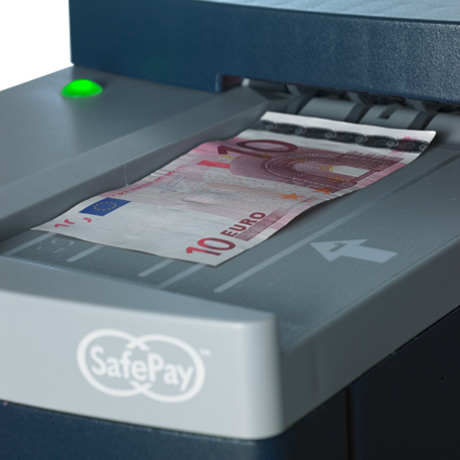 Gunnebo's SafePay systems provides secure closed cash handling for checkouts and payment solutions. 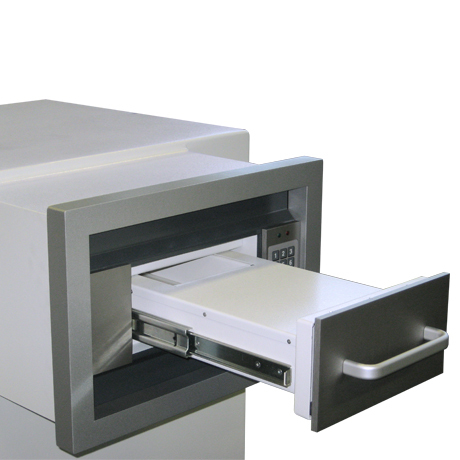 The Gunnebo cash dispenser is a fast and secure solution for banks and retail. 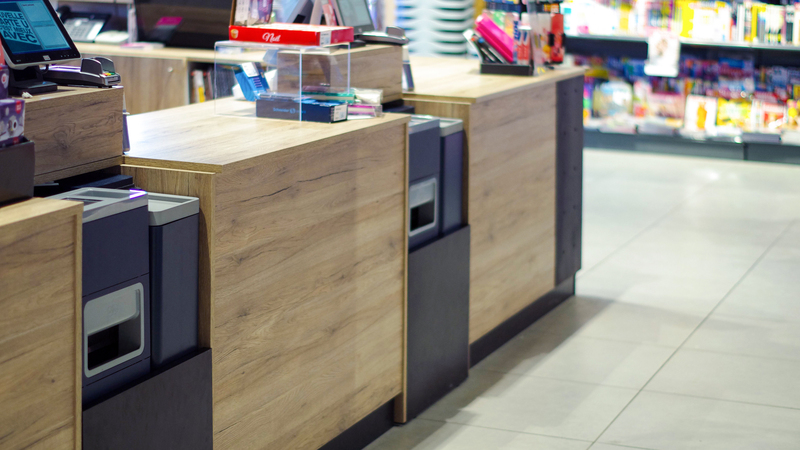 It offers a self service experience that saves both you and your customers time.